What Day Of The Week Is December 31, 2020? 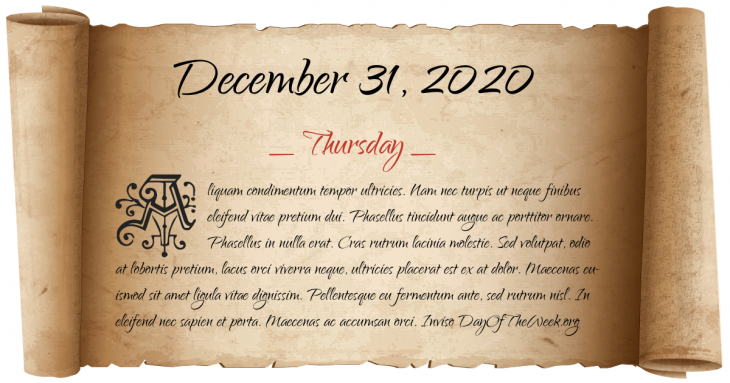 December 31, 2020 is the 366th day of the year 2020 in the Gregorian calendar. The day of the week is Thursday.